You don’t just have to cheer on Tom Daley from your sofa, or join in a Mexican wave at the Opening Ceremony to take part in The Games this year. 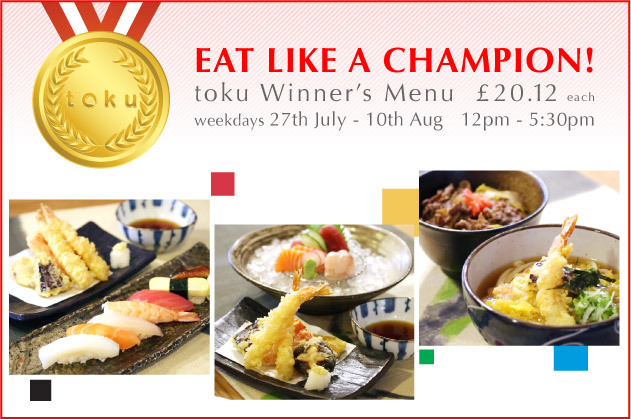 To honour a wonderful summer of celebrations Toku Restaurant (perfectly positioned for the Cycling and Marathon events according to Waitrose) has announced its special Olympiad Medal Winner’s Menu. Helping you save money and enjoy this amazing sporting event, the Medal Winner’s Menu will leave you enough spare cash to buy that extra union jack flag or much-needed fold-away bike to escape the inevitable commuter crush! Japan Centre is proud to announce our third Japan Food Festival (JAFF), 27th July – 12th August at our Regent Street Store in collaboration with the Fukuoka Chamber of Commerce and Industry! Sample local produce from this fertile southern island, never before sold in the UK! Get your hands on exclusive regional specialities and experience the culinary diversity and beauty of Kyushu right here in London. 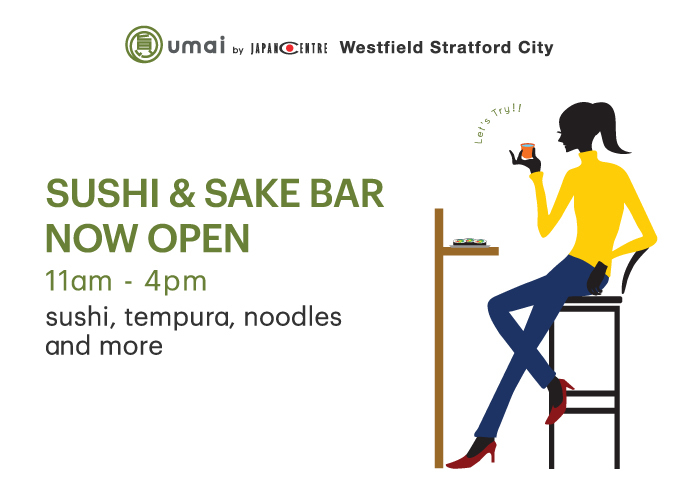 Featuring free tastings every day from 3 – 6pm the event features limited edition Kyushu products for 2 weeks only, make sure you don’t miss out! Win Mitsuko Delivers on DVD! With Tanabata just around the corner on 7th July, Japanese towns everywhere are about to burst into life to celebrate. Here at Japan Centre we wish we could be in Japan, strolling around the local Tanabata Festival in our light and airy yutaka, writing wishes on tanzaku and sampling some sumptuous festival food that the Japanese do oh so well. But, alas, we are stuck here! So we’re going to do the next best thing and cook up some of our own wonderful Japanese yatai stall-inspired festival street food.